Sound is just clicking buzz, affected everything, had to perform system restore! 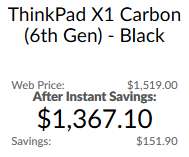 I have a Lenovo Carbon X1 6th gen, Windows 10 64-bit v1703, 16gb ram. I downloaded shoutcut from the main site and all was fine until I exported a video. I used the default settings for mpeg4. When I tried to play the exported clip the only sound was like a buzz saw. The buzz continued until I quit shotcut. However from then on if I played any video on any player, the buzz was back, and it would not stop, affecting everything. The only solution was to perform a system restore. Clearly my common drivers had somehow been corrupted. Audio files and browser streams such as youtube were still working. This seems to be a different behavior than others have described. I am reluctant to try to continue, which is sad because it seems to be a nice editor. 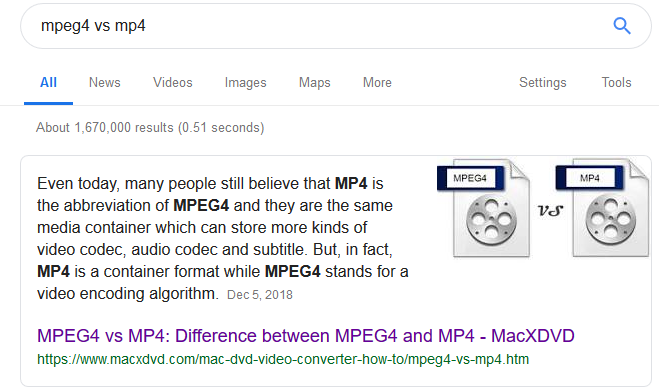 Are you sure you know what mpeg4 is? Or do you mean mp4? The buzz continued until I quit shotcut. However from then on if I played any video on any player, the buzz was back, and it would not stop, affecting everything. The only solution was to perform a system restore. Clearly my common drivers had somehow been corrupted. Updates happen all of the time. Are you sure some other update didn’t corrupt drivers? I’ve had to reinstall Realtek audio drivers twice from an issue with NVIDIA updates. And I’ve had hard drives & an SSD fail. But none of that is Shotcut’s fault. Every software you install requires so much computing power. These are Shotcut’s Minimum Specifications. Although Intel’s i5-8250U’s does have 4 cores, 8 threads at 1.60 GHz. Have you tried the 32 bit version? It uses less resources. The only solution was to perform a system restore. Clearly my common drivers had somehow been corrupted. It is impossible for Shotcut to corrupt your driver, and I do not believe a system restore was required even though that is what you did to fix it for yourself. More than likely, your audio driver got into a bad state and reboot would have fixed it. There is nothing I can do about this. I have been working on Shotcut for Windows for 7 years and never experienced this. Well, I am glad that you never experienced this problem. I rebooted my system TEN TIMES. I don’t mean restart. I mean full on, SHUTDOWN, WAIT 30 SECONDS, POWER ON. After the first incident, if I tried to play a clip in Shotcut the buzz would start and would not stop until I exited the program. HOWEVER: If I had restarted and then ran video playback on ANY OTHER APP, the buzz would start and WOULD NOT STOP until I RESTARTED MY PC. I tried Windows Media Player, NCH, IrvanView, and VNC. Same result. IF VNC WAS AFFECTED THEN SHOTCUT DUG DEEP TO CAUSE THE DAMAGE. I am glad that you have seven years experience. I have 30 YEARS experience in the PC world, and I would never make a blanket pronouncement against a user that I am supposed to support, that something was impossible in the Windows environment. Since the problems caused after the FIRST AND ONLY export from Shotcut, then CONTINUED AFTER MULTIPLE SHUTDOWN/RESTARTS, and did not go away until after A FULL SYSTEM RESTORE, I respectfully DISAGREE with you. Shotcut either corrupted one of my drivers, or corrupted the registry. The result was the result that I described. Either way, THE ACT OF EXPORTING JUST ONE VIDEO THROUGH SHOTCUT CORRUPTED MY PC. I am not able to reproduce this bug, and thus I cannot fix it. Moreover, in seven years and millions of downloads you are the first person to report this. Since this is open source, you can try to fix the bug yourself and submit a patch. Please do not respond very rudely again.